It is possible Google can block some site. There are many reasons Google blocks websites. Some can be re-open and few cannot. If you want to know the reason why Google chrome block websites and How to open read the full article How do I open blocked sites on Google Chrome? Step 1 Launch Google Chrome, click the Chrome menu button — marked with three horizontal lines — and then choose “Settings” from the menu to open the Settings page. Step 2 Click the “Show advanced settings…” link and then click the “Change proxy settings…” button in the Network section. Step 3 Click the “Security” tab, select the “Restricted sites” zone, and then click the “Sites” button to open the Restricted Sites window. Step 4 Select the blocked website from the Websites list and then click the “Remove” button to unblock it. Click “Close” to close the Restricted Sites window, and then click “OK” to close the Internet Properties window. Reset your Google Chrome into factory default settings. Sometimes we change some settings without knowing. Launch Google Chrome, click the Chrome menu button — marked with three horizontal lines — and then choose “Settings” from the menu to open the Settings page. Click the “Show advanced settings…” link, and then click the reset as factory default. I have seen in many cases Antivirus also blocks the website. Just simply disable Antivirus or put block website URL into trust list of Antivirus. It will start working. 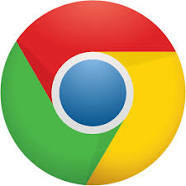 Hope this will help you to open block website in Google Chrome.